1. The nonwillful penalties assessed against the wife (Nila) were $10,000 per year despite her interest in multiple unreported offshore accounts each year. The Government has claimed in the past that it can assert the maximum $10,000 nonwillful penalty per account per year. Practitioners have disputed that claim. I don't think it has been resolved. There is no indication as to why the Government only asserted single nonwillful penalties in this cases. 2. The more interesting issues relate to the willful penalties. Readers will recall that the IRS has adopted a general rule for willful penalties to be 50% of the highest amount in the accounts in the open years. As I understand the application of that general rule, the amount is quantified based on the high amount(s) for the open years rather than the year end amounts and that calculation is made one time. The penalty under that general rule is 50% of that calculated high amount. The penalty then can be spread to multiple years so that, for any one year, the penalty does not exceed the statutory maximum of 50% of the amount in the account on the reporting date. Here the calculation, according to the court, was 25% of the sum of the year end amounts with the derived number spread equally to each year for the penalty for each year. I have not tried to dig deeper into that, but perhaps some reader can explain all that commotion and relate it to the general 50% penalty policy. 3. The Tax Court Case and Amounts Involved and Related Issues. n1 On or about March 7, 2017, the Shindays filed a Petition with the U.S. Tax Court seeking to set aside~ inter alia, civil fraud penalties in connection with unreported income from their foreign bank accounts oetween the 2005 and 2009 tax years. (The 2010 and 2011 years were not challenged because the Shindays were not assessed penalties for those years). Pursuant to the Court's September 17, 2018, decision, the Shindays were found to not have committed civil fraud in connection with such unreported accounts, which are the same subject of this FBAR action. Lastly, defendants’ motion references a United States Tax Court case, docket number 5612-17, filed by defendants. Defendants’ reference to that case is inappropriate. A motion filed under Fed. R. Civ. Pro. 12(b)(6) tests the sufficiency of the factual matters alleged in the complaint. Iqbal, 556 U.S. at 678. In reviewing the sufficiency of a complaint under that rule, the court is limited to the complaint itself, its attached exhibits, documents incorporated by reference, and matters properly subject to judicial notice. E.g., In re NVIDIA Corp. Securities Litigation, 768 F.3d 1046, 1051 (9th Cir. 2014). The complaint did not make any allegations regarding the Tax Court case, attach any exhibits relating to it, or incorporate any documents relating to that case. Further, defendants have not requested that the Court take judicial notice of the Tax Court decision. Nor have they established that the decision is a proper subject for judicial notice. And in any event, the disposition of defendants’ Tax Court case has no bearing on this one. That case concerned, among other things, whether defendants committed civil fraud in underreporting their income for various tax years.n4 That is a separate question from the one presented here (i.e., whether defendants willfully violated the FBAR reporting requirements). Any references to the Tax Court case should be excluded. n4 Further, the motion is misleading as to the disposition of that case. The Tax Court did not, as defendants contend, find that defendants did not commit civil fraud in underreporting their income. Rather, the IRS conceded that issue in a stipulated decision document. The Tax Court did not make any findings as to fraud. The Tax Court decision is here and the Docket Entries here. The interesting thing was the amount of the deficiencies involved. The order determines deficiencies as follows: "for the taxable years 2005, 2006, 2007, 2008, and 2009 in the amounts of $2,643.00, $11,949.00, $6,475.00, $22,716.00, and $3.00." I am surprised that with such small amounts of deficiencies the Government would have initially sought civil fraud penalties and the willful FBAR penalties. Perhaps the Shindays had filed amended returns by the time the deficiency was issued, so that the deficiency would cover the smaller amounts only and the penalties (which presumably the Shindays would not have offered if they filed amended returns). (In this regard, the decision document determines accuracy related penalties of in the amounts of $528.60, $2,389.80, $1,295.00, $4,543.20, and $0.60, respectively; but presumably, if the Shindays had filed amended returns, then, without fraud, the amounts reported on the amended returns would avoid accuracy penalties since they would be qualified amended returns and so the accuracy related penalties could only apply to the difference between the true tax and the tax reported on the amended returns. 18. Renzo M. Gadola was a Director of Private Banking, North America, at UBS's Zurich, Switzerland, branch during the years in which defendants held the UBS account. Mr. Shinday provided instructions to Mr. Gadola regarding defendants' investments in the UBS account and asked him to arrange transfers into or out of the account. It was Mr. Gadola's practice to prepare memoranda that memorialized Mr. Shinday's instructions regarding defendants' UBS account. 21. On many occasions, defendants directed UBS to transfer money from the UBS account to their relatives. Frequently, defendants directed UBS to deliver cash--usually $50,000 or $100,000--to T.J.P., a relative in London. On at least one occasion, defendants expressed concern to UBS that these transactions would be reported to taxing authorities. In 2002, for instance, a memorandum prepared by Mr. Gadola indicates that defendants asked whether Mrs. Shinday's brother, a citizen of the United Kingdom, would be able to withdraw $50,000 of defendant's funds from UBS's London branch without the transaction being reported. 22. 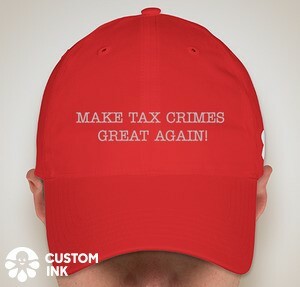 In early 2002 UBS informed defendants of changes in U.S. tax law that would require UBS to report defendants' securities transactions to U.S. tax authorities, or, in the absence of reporting, withhold and pay over to the IRS taxes on the proceeds from the transactions. In light of the changes, UBS suggested--and defendants agreed-- that UBS would no longer accept defendants' instructions for the purchase and sale of securities. Instead, UBS would provide only "discretionary asset management" services pursuant to which it would manage defendants' holdings according to an investment profile selected by defendants. Additionally, UBS would retain all mail relating to defendants' account at its Zurich branch. Defendants retrieved the mail during their trips through Zurich. On at least two occasions, in 2004 and 2008, Mrs. Shinday authorized UBS to destroy whatever mail defendants did not take with them when they departed Switzerland. 23. In 2008 UBS advised defendants of new laws that would apply to U.S. citizens with foreign accounts and recommended that defendants close their UBS account. Soon after, defendants began withdrawing the funds in their UBS account. They transferred most of the funds in the UBS account to their SBI accounts in 2008 and transferred the remaining balance to SBI in 2009. Defendants requested that UBS send all documentation relating to the closure of their account to T.J.P. Renzo Gadola, the UBS account executive who writes memoranda, has figured prominently in reporting on this blog. See here. One thing about Swiss bankers is that they often did not write or did not keep or hid memoranda or other writings with damaging information. Gadola apparently did.